When it comes to area rug cleaning in Boynton Beach, FL, our cleaning process at Palm Beach Oriental Rug Cleaning are modeled to imitate traditional cleaning methods, but implemented in modern settings. We employ a staff of men and women who have practiced and handed down the tradition of carpet weaving and care. They are knowledgeable about not only cleaning rugs, but in grooming and repair as well. Rug classification is generally divided into a few main categories: area rugs, Persian and oriental rugs, handmade rugs, and machine made. The Persian classification has more to do with traditional weaving and many are handmade. They are referred to as woven because the manufacturers consider their rugs a work of art and mainly come from Turkey, Iran, Iraq, Pakistan, Afghanistan and to some extent India, Morocco and Libya, among other countries dotting the Middle East. Handmade rugs are sourced from all over and are made by a combination of hands and special sewing machines. Machine rugs are just that, made by machines and are created from synthetic fibers. Some cleaning methods use enzymes and detergents. The advantage to this is the advanced science that goes into ensuring the detergents are safe for the environment. Another popular method is steam cleaning, which sanitizes and rejuvenates your rugs. Rugs that are properly cared for and only need a quick cleaning receive dry cleaning methods, which uses nearly no moisture yet leaves your rugs as beautifully cleaned as the steam cleaning option. Whatever your rug type, it should be professionally cleaned. Why take any chances on the rugs you have spent so much money and energy into buying. When it comes to taking care of your area rugs, you want to make sure you hire an expert that knows how to take care of specialty rugs. At Palm Beach Oriental Rug Cleaning Pros, we have years of experience identifying what specialty rugs are made of and providing the necessary care involved in cleaning them. 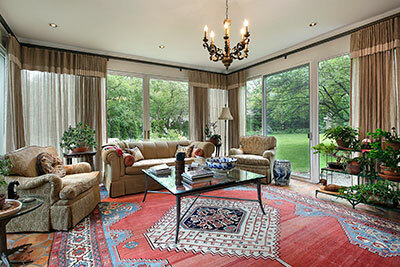 Oriental/Area rugs can be made by hand or by machine with each type requiring certain types of care. Proper fiber identification is extremely necessary in order to clean the rug as thoroughly as possible without damaging the quality. 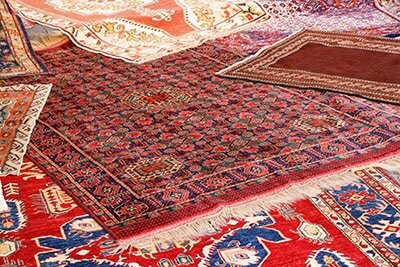 Our qualified technicians will give your rugs the proper care they deserve. Area rugs are generally made with natural fibers and dyes, requiring them to be treated with special care using cleaning agents with the correct pH balance to prevent browning, color fading, discolorations, etc. We also adjust cleaning temperatures and pressures to meet the special requirements of each type of rug. After cleaning, all rugs are dried with proper dehumidification and air movement. Fringes are then cleaned and treated and in some cases bleached to ensure maximum beauty and brightness. 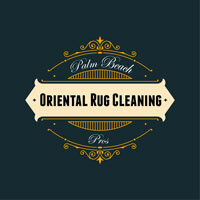 Palm Beach Oriental Rug Cleaning Pros services specialty, Oriental, and Turkish rugs of many types of fibers including cotton, wool, and silk, as well as a variety of synthetics, such as fringed synthetics, bound synthetics, braided rugs etc. We use a whole line of cleaning agents and stain removers specially formulated to safely and effectively clean more delicate fibers.